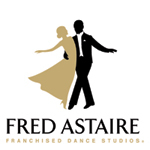 In partnership with Fred Astaire Dance Studio in Greensboro, North Carolina, Operation Smile Carolinas proudly presents the 11th annual Dancing with the Carolina Stars. Celebrities from around the Carolinas will pair up with professional dancers to raise funds and change the lives of children around the world. Through this magical night of performances, Operation Smile Carolinas continues to raise awareness and funds to provide safe surgery to thousands of children suffering from cleft lip and cleft palate in resource-poor communities worldwide – making them the true winners. This year we are honored to have Carolyn Woodruff as our chairperson to help celebrate the 11th Annual Dancing with the Carolina Stars. Unable to attend the event? Consider making a donation to support Operation Smile.